The Institute of Perception is dedicated to the Evolution of the human spirit through the Arts. and broaden perception for the individual and the greater community. We believe that achieving freedom of perception is essential to our human Evolution. Our programs aim for participants to revitalize their artistic vision through Silent Knowledge. promoting shifts in our usual assemblage point of Reason, and allowing an additional persperctive: Pure Understanding or Silent Knowledge. The founders of the Institute of Perception are Q and Noir. They are dedicated Artists of Perception using a variety of mediums. (see Perceptual Sculptures category on this site). 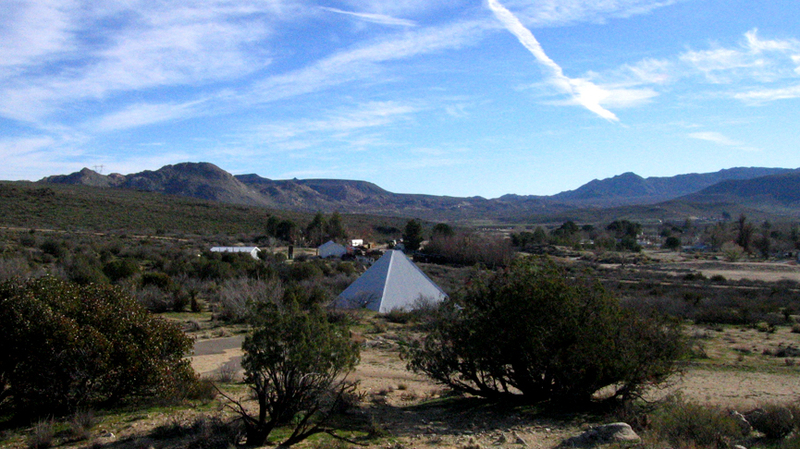 in the beautiful high desert (2,700 ft. elevation) within the town of Jacumba. created from a prehistoric meteor that also resulted in very low specific gravity for the area. allowing a panoramic view of the entire valley below. scattered with desert fauna and abundant wildflowers. The Institute of Perception is inviting sponsors to contribute in making this artistic platform a better offering to the larger artistic community. We are creating a new stage for painters, sculptors, musicians, poets, photographers, performance artists, neo-vaudeville, graffiti artists and creative ritualists to come together for exchange of ideas and talents, for connectivity and collaboration on projects, and for rejuvenation in a world where the support for the arts has been evaporating. The Institute or Perception Grounds are located in a magical landscape promoting regeneration and the connection with our Pure Understanding / Silent Knowledge. With our creative tools, in this node, we are actualizing the rebirth and widening of our perception.The combined energy of a group of people sharing creativity in Silent Knowledge has the potential to bring a change in the modality of our time.